On the 31st of August 2016, the European Patent Office issued an official document granting the European patent for Luer-Jack. IP Australia, the Australian Government agency that administers intellectual property (IP) rights and legislation relating to patents, issued an official document granting the Australian patent for Luer-Jack – also on the 31st of August 2016. These two patents are an important part of the families of similar granted and filed applications in all important markets world wide, including the granted patent for the USA, and are a fundamental member of the Luer-Jack patent family. The innovative Luer-Jack syringe is unique through the very simple one-handed operated disconnection function. Based on the leverage effect, the ‘Click and Release’ feature performs faster, safer and more efficient one-handed disconnections from needles and any other medical luer connections, and thereby offer prevention from needlestick injuries. 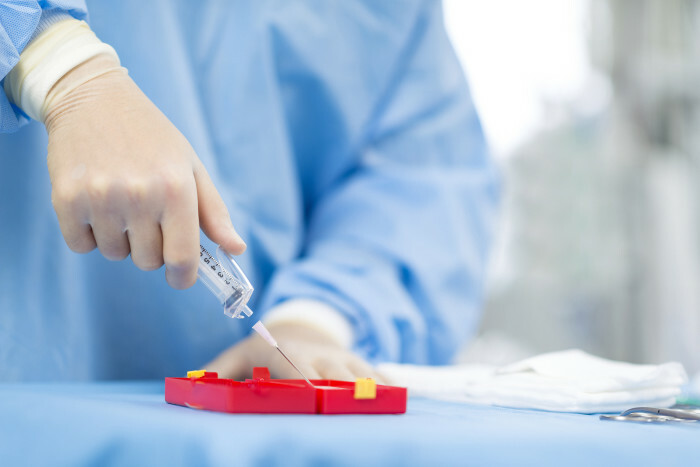 Using only one hand safeguards aseptic technique and could become a vital part of the on-going struggle to reduce the occurrence of hospital-acquired-infections. ‘ConceptoMed is serving the global market with innovative product categories and unique proprietary technology. These issued patents for Luer-Jack is an important milestone for ConceptoMed, for the global growth of the Luer-Jack concept – and ultimately for patient and healthcare worker worldwide – also beyond Europe. We intend to validate the EPO patent across Europe’, said Christian Mide, M.D., CEO and founder of ConceptoMed. ConceptoMed AS is a rising medtech star serving the global market with innovative product categories and unique proprietary technology. We create smart medtech systems that empower healthcare professionals and improve patient care. Excellence through simplicity is our code. We are brave, curious and dedicated. We simply care. Based in Norway, the team is continuously meeting milestones and expanding its activities for international growth. For more information on the company and career opportunities, see www.conceptomed.com and www.luerjack.com. Follow us on MyNewsdesk and LinkedIn. Luer-Jack® is a registered trademark owned by ConceptoMed AS. The Luer-Jack® technology is widely patent protected throughout the world, currently with almost 50 patents (granted and pending) from 8 patent families.